UPDATE 04/01/2015: Senator Bob Menendez of New Jersey has been formally indicted on public corruption charges by a federal grand jury. Bob accepted lavish private jet trips to luxury resorts and huge campaign contributions from Salomon Melgen, a Florida doctor accused of a massive Medicare fraud scheme. He then pressured officials not to investigate Melgen. Bob Menendez is entitled to his day in court, which he will have. 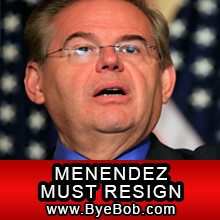 But he must resign now so that New Jersey and American can have a senator who can represent constituents and the national interest free of an ongoing prosecution.